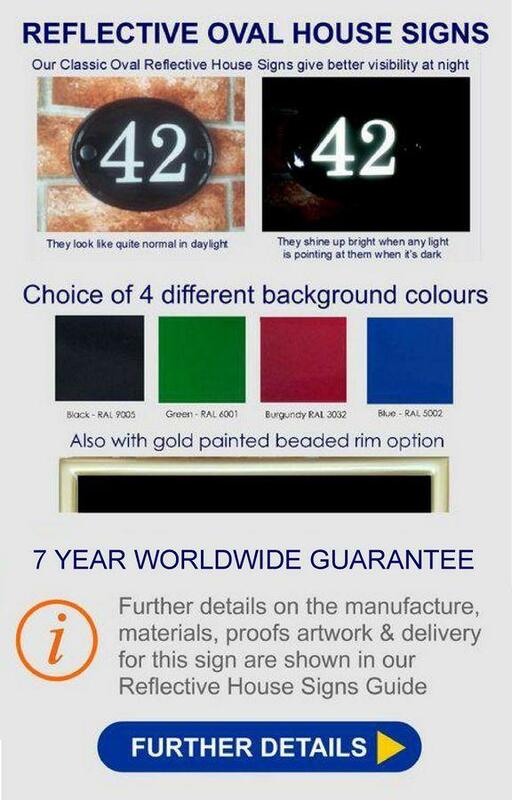 Night reflective house number plaque suitable for up to 4 digit numbers. 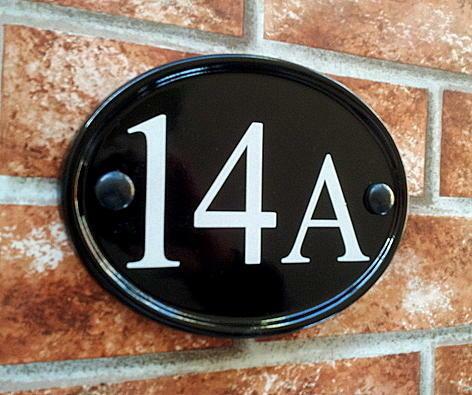 Tough and durable with the option of a directional arrow. It has taken me ages to find exactly what I wanted: the service and the sign from this company was well worth the wait. The whole process couldn't be faulted and I would recommend them to anyone. Thanks very much to all involved. 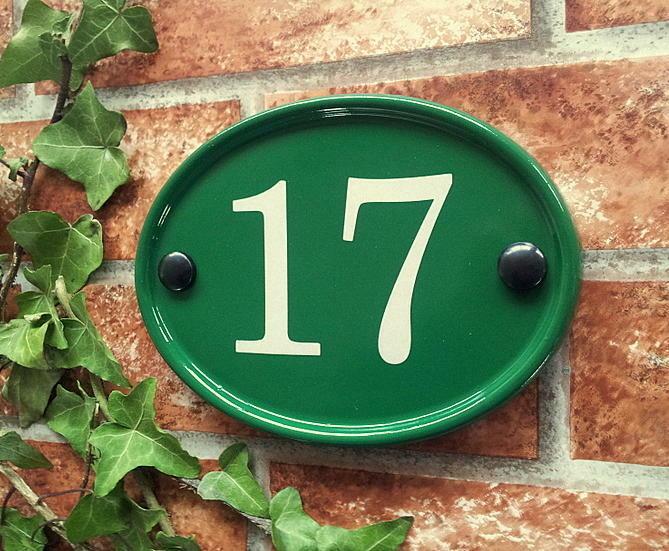 I requested the number 72 in white on a black background using Goudy Handtooled font. Many thanks Gerry, it has arrived and I am delighted with it! 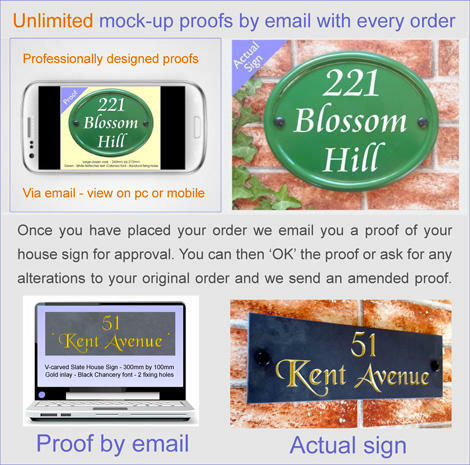 To the team of Yoursigns Ltd; my order was delivered in time for Xmas as I had hoped for. We haven't lost a minute putting it up, It is a pleasure to look at it ! Thanks to you and your team. 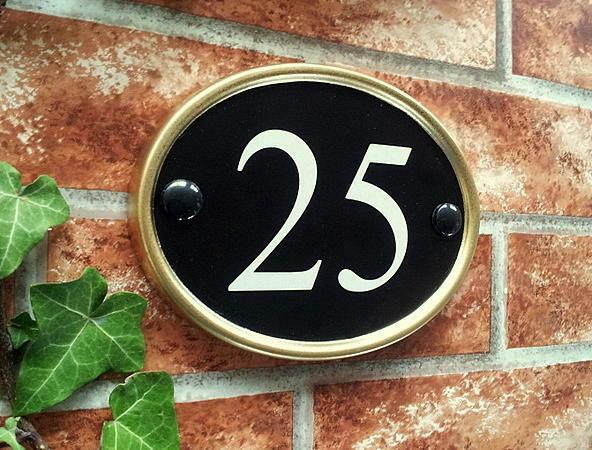 The House Number arrived safely and is now fixed to the wall. I am very pleased with it. Many thanks. 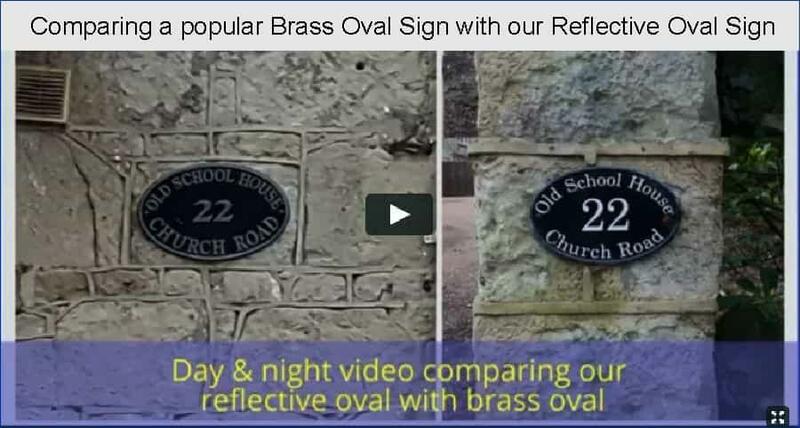 Thank you sign has been received safely, am really pleased with it, thanks. 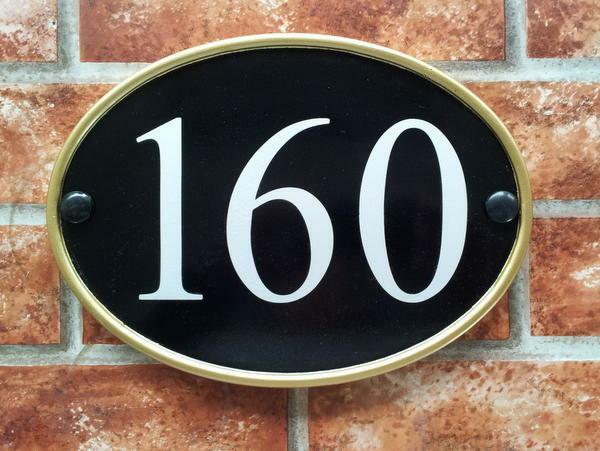 The package containing the house sign has just been delivered. Looks good! Many thanks. 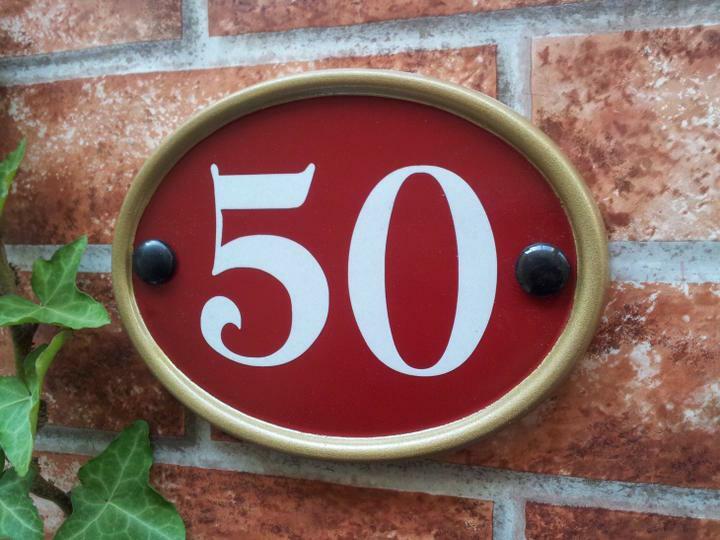 I have had two of the reflective small classic oval number signs on my garden wall for over ten years and they were as good as new until a delivery van smashed one when it demolished the wall, so I've ordered a replacement and it looks just as good, I hope it lasts even longer! Simple to order on line. Easy website to follow. Product arrived promptly and well packaged. A lovely addition to the front of our house.